The second showcase game of the night between the NCHS Chiefs and the 2A powerhouse Many Tigers was all it was built up to be. The Tigers kicked off to the Chiefs to start the game with an onside kick. The Chiefs fell on the ball with great field position on their own 47 yard line. The Chiefs ran the ball on three consecutive plays gaining 22 yards and two first downs. On the fourth play the Tigers called a blitz to stop the Chiefs two yards behind the line of scrimmage. The Chiefs regrouped and approached the line determined to avenge the last play and take back the momentum. On the next play, Chiefs quarterback Jaylin White pitched the ball to left halfback Trey Solitaire for a 25 yard scamper for a touchdown to put them on the board. With the Chiefs and their fans riding high off the first touchdown, the Chiefs were set to kick-off to the Tigers. NCHS raced down the field to meet the return man for Many causing him to fumble. The Chiefs recovered on the Tigers’ 49 yard line. With total momentum on the Chiefs side, they wasted little time executing with a pass and two runs to put them in striking distance of the end zone from the 11 yard line. White took the opportunity on a pass play to hit an open receiver in right halfback Jeremiah Aaron, thereby putting the Chiefs up 14-0 with 9:45 seconds left in the quarter. On their second possession of the game, the Tigers used strong emphasis on ball security after receiving the kick-off. To help set the tempo, Many used a power running game behind their Division 1 prospect Shacori Williams to wear down the front line of the Chiefs defense. Williams scored a rushing touchdown with 5:33 left in the quarter. Many attempted another onside kick and this time it paid off. Getting the ball at the Chiefs 45 yard line, the Tigers reached the end zone for the second time, after a 3 yard pass play T. Williams broke loose for a 42 yard touchdown run. A successful 2 point conversion made the score 14-15 Tigers. The Chiefs took over with 1:55 but were unable to gain a first down, so they were forced to punt the ball away. Many took over with great field position and completed a six-play drive for a touchdown by JaColby Cade with 22 seconds left on the clock in the first half. The Chiefs were down but not out. Many attempted a squib kick but the Chiefs recovered to maintain possession and on the Chiefs first play from scrimmage White found Solitaire who outran the entire Many defense for a 55-yard touchdown. 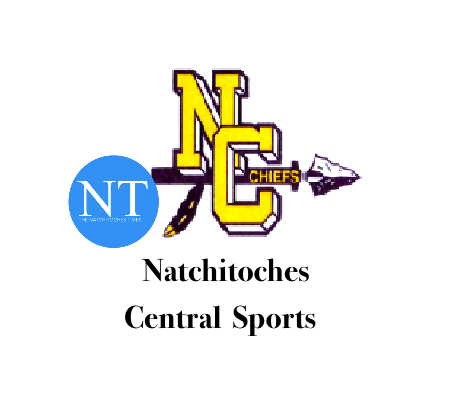 That play gave Natchitoches Central new life. The Tigers were unable to move the ball against a new and determined Chiefs defense in the third. Nose tackle Maleek Johnson and linebacker Derrick Williams stepped up their performance to stifle the Tigers offense. With neither team finding an answer to their opponent’s defense, Many called a timeout to regroup but ended up punting the ball away. The Chiefs put together a couple of long drives getting three first downs but was forced to punt with 3:45 left on the clock. Many took advantage and returned the punt for a touchdown giving the Tigers a nine point lead 20-29. The Chiefs received the kick-off but were unable to score. Many took the victory with the final score of 20- 29.